The world population has grown by 30% since 1990, going from 5 to 7 billions people. The distance from workplace to residence tends to increase due to the life cost within cities, like in San Francisco, where someone is renting a backyard tent for 899$ per month, for people willing to have a temporary home until finding a decent one. Why should we stay at a single place when having a digital company like ours? Why are companies requiring people to be at work 9am-6pm? Isn’t there something we can do to make people happier and healthier? 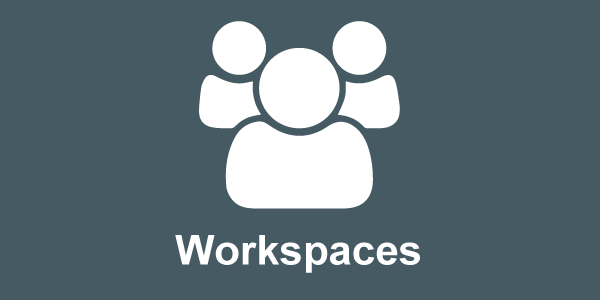 I feel like, as a Digital worker, that we shouldn’t be constrained to work at a single location. While you still need to meet each other from time to time, people moving to workplace is inefficient. 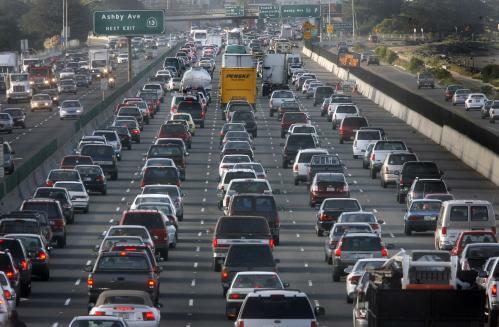 I’ve been in San Francisco Bay a few years ago and have been astonished by how many people were driving to their workplace, alone in their cars. The same happens here in South France. I commuted to work for many years, spending countless hours in traffic jams. The time spent commuting is purely wasted. You can’t do anything when you are driving your car. It’s a little better when using public transports since you can do something else while on your way. Facebook is giving significant bonuses to people living less than 2 miles away from their office. While this contributes to reduce commuting, we think we should completely avoid commuting. We would like to go even further, and let workers travel around the world while working. Hiring people regardless of their location opens you a to huge number of people. You’re not limited by your physical location anymore. It lets you hire the best people in each domain. Most of the people are tied to their place of residence because they have kids or bought a house. Statistically, you will never find all the best people to hire at the same location. Only self-motivated and proactive people are able to work remotely. Those people find by themselves the work that needs to be done. They are proactively communicating with the team. If you hire someone for remote work, make sure this person can work autonomously. Make sure this person doesn’t need any input from you to get the work done. You need to feel confident. Environment friendly: we believe that reducing our emissions should be a top priority. Instead of building highly efficient cars to drive an increasing number of people, why not reduce the number of people moving? The counter-part is that you may loose the distinction between your home place and your work place. If you stay at a fixed location, you may have a separate room to work. Traveling while working is a great way to meet new people. It broadens your mind. You get in touch with different cultures and see the world from a whole different point of view. If you like to make stuff, create startups, it’s probably the best way to find new problems to solve. Creating startups is all about solving big problems with simple solutions. It’s really hard to be creative when you stay at the same place and meet people living like you. It’s also hard to be innovative when you are stuck in the same lifestyle since years. Working for a company whose business is entirely on the internet opens a great number of possibilities. Your workplace is everywhere. All you need is an internet connection, and a computer. Digital nomads are people working for digital companies, like baremetrics, traveling around the world. Pieter Levels explains this well on his blog when he has reset his life. He left his comfortable life in Amsterdam, sold almost everything, then travelled to South Korea. He noticed that nothing was existing to help digital nomads choose a country from where to work. There was a lack of information about the life cost, weather and safety of potential cities where he could work from. 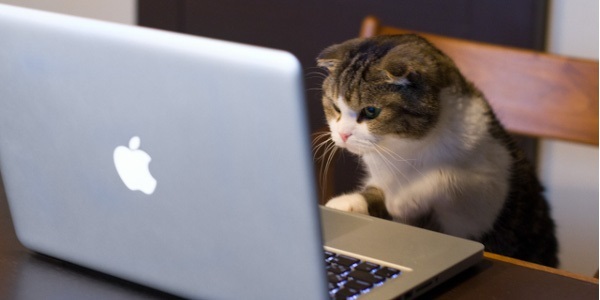 He started building a spreadsheet with those information and asked some people to help him on Twitter. This is how he built RemoteOK. RemoteOK is a great place to find daily available remote jobs. It aggregates remote jobs from different sources like Angel List, Dribbble or We Work Remotely. This website makes it very easy to find a Remote friendly job and apply to it. Once you found a job, there is another challenge: finding the next place where to live. Where is it safe to live? 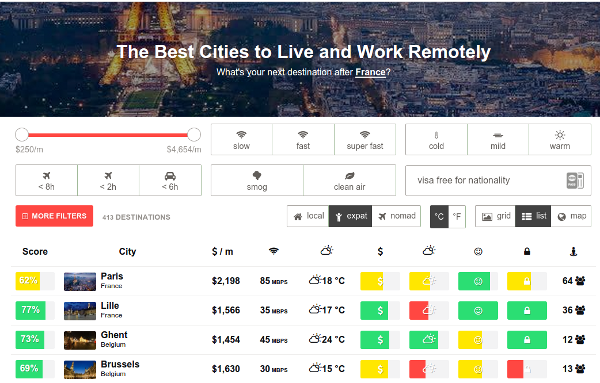 Which city is affordable and offering nice co-working places? It’s time to get a look at NomadList. levels of safety and happiness. The ultimate challenge is to get ride of most things you accumulated in your life you don’t necessarily need. As a digital nomad, you cannot afford taking your entire house with you. You need to focus on keeping the minimum. It seems like it’s the new trend Owning less. In fact, owning less can bring a great number of benefits. I’m not following this kind of trend, but i’m curious about it. RemoteYear program lets you to travel with other Digital Nomads with minimal risk. It plans for you the locations where you are going to work, at an reasonable price. You will travel with interesting people like you, and dive deep into the local cultures. Having a whole team working remotely requires some tools to coordinate people. 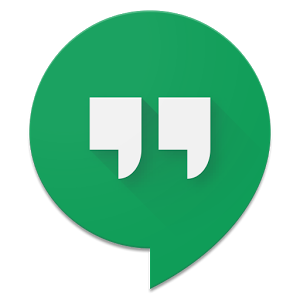 A chatting app is truely necessary to talk to other people in your company. We use Google Hangout everyday to talk to each other. Plus, it keeps track of old conversation in your Gmail box. Slack is a newcomer and seems promising. I’ve heard many people talk about it, but we didn’t test it so far. We use Hangout, and sometimes Skype. Due to poor audio and video quality, we avoid Skype as much as possible. You may have experienced this like us. Email is mandatory. Everyone should be reachable through a personal email address within the company. Email is the oldest technique for communicating on internet, and it still deserves its purpose. [Google Docs] is great for storing and sharing documents, spreadsheets and more. Multiple people can edit the same document at the same time. In fact, you should be using it even if you don’t work remotely. 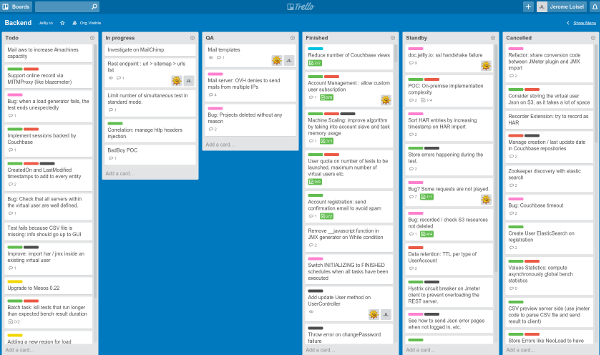 At OctoPerf, we’re using Trello since the beginning of the company. It’s a digital Kanban Board. It allows you to organize the work you have with cards. It keeps you sane by letting you brainflush your ideas on it. With Trello, you can keep an eye on other people tasks and see their progress instantly. Our entire infrastructure is running on Amazon AWS. Our source code is stored on GitHub. This gives us an incredible flexibility. Our workplace is internet. Distributed teams doesn’t suit for everyone. Some people simply can’t get to work when no one is looking at what they are doing. Some people will probably tell you it won’t work, you need meetings to see people. On one hand, they may be right, we’re social, we need human interactions. But, is it really worth it to constrain all people to work at a single place? Working remotely is in our DNA. Will it scale once we reach 10 or even 100 employees? We don’t know, but we’re excited to find out if it will. Do You Have What it Takes to be a Work from Home Tester? 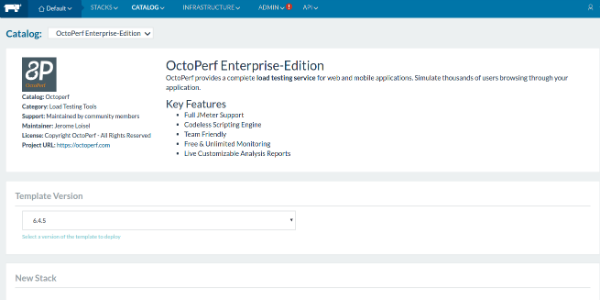 Get ready to have your very own OctoPerf in house. 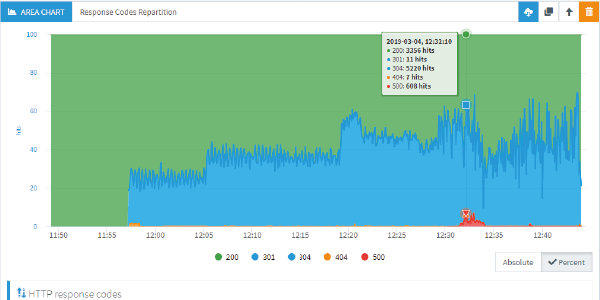 OctoPerf Workspaces for QA Teams enables collaborative JMeter testing.